Children's Ear Formula - (Hai Er Fang) Used to treat ear infections in infants and young children (to 6 years old). Given orally, it will usually stop the pain of otitis media (middle ear infection) and otitis externa (outer ear infection) within 2 hours. This herb is intenede for painful ear infection, but is also appropriate for inflamed or bulging eardrum, without pain. Polygala Root - Traditional Chinese Herb that is an expectorant (releaser of mucous) and a stimulant for bronchial asthma. 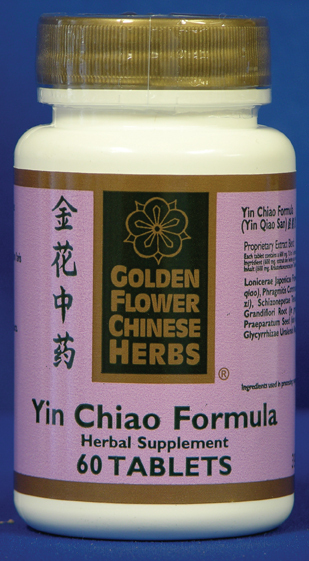 Liver Chi - Herbal Formula that helps protect and restore functions of your liver while balancing the immune system. The liver is involved in over 500 important body processes and is a key organ system for regulating blood sugar levels and fat metabolism, helping to balance digestion and modulating skin problems such as psoriasis. 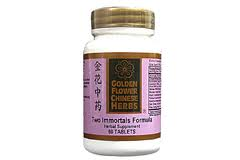 Two Immortals Formula - Great formula for menopause. Because Two Immortals contains some very heating herbs, it is best used by those who also have signs of coldness, feelings of coldness, cold low back and/or knees. If there are severe Kidney Yin Deficiency symptoms, night sweats, sweats, five palm heat and so on, only use small doses. Andrographis Formula - Andrographis Formuls (Chuan Xin Lian Kang Yan Pian) is used to clear acute heat-toxin in the blood, lymph or at the organ level. This herb is noted for its strong anti-viral, anti-bacterial, anti-pyretic and anti-inflammatory actions. 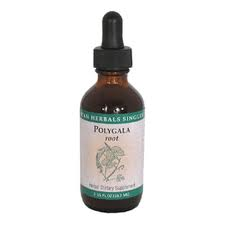 Great at treating viruses affecting the throat, lymph or liver. 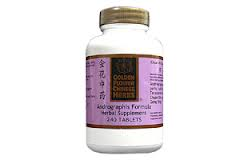 Heavenly Emperor's Formula - Nourishes Yin, nourishes blood, supplements the heart, calms the spirit, strengthens the will. This powerful herb is used to help with - Anxiety, irritability, palpitations, fatigue, insomnia, easily wakened, restless sleep, inability to think clearly, trouble with concentration, poor memory, forgetfulness, nocturnal emissions, dry throat and mouth, and possible mouth and tongue sores.